I am a young voter, that was not of age during the presidential election, so I am doing my research to make sure I help make a wise voting decision for our state. I understand that your main focus is the debt, and I have read up on your other issues as well, but I wanted to ask you what makes you stand out from the other candidates. I have concluded that democratic candidate Ms. Jane Raybould and you have very similar stances on issues. So, I guess my question would be what can you do for our state that other candidates haven’t brought up. I am looking forward to hearing back from you. The national debt, now 78% of GDP (for the public part on which we pay interest), is the highest since right after WWII, and is predicted by the Congressional Budget Office to keep getting steadily worse without major changes in current policy such as curtailing the growth of entitlement spending. This is by far the greatest long term problem facing our country. If we don’t address it, we will inevitably have a new and very severe fiscal crisis in the near future, as soon as interest rates return to normal (and higher) historical levels. Basically, we are in a deep hole, nonchalantly digging it deeper and deeper, when we need to devote all of our efforts to climbing out. Social issues such as abortion policy, gun rights and immigration reform are highly contentious but do not fundamentally threaten our prosperous and stable way of life. I am confident that the political process will eventually achieve an acceptable resolution of these social issues. I am far less confident that normal politics will get us out of our debt bind. Conclusion. 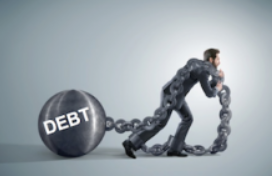 What distinguishes me from all of the other candidates in this race, Democratic, Libertarian or Republican, is my strong insistence that we must focus on solving our out-of-control debt problem. Otherwise the future of our country is at great risk. Millennials will suffer most from inaction. 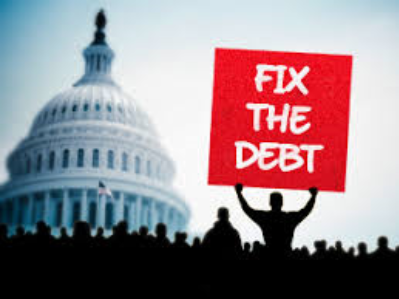 I am a candidate in the May 15 Nebraska Republican Primary for the U.S. Senate because the incumbent, Deb Fischer, is ignoring our enormous and out-of-control national debt. In fact she recently voted twice to make it worse. 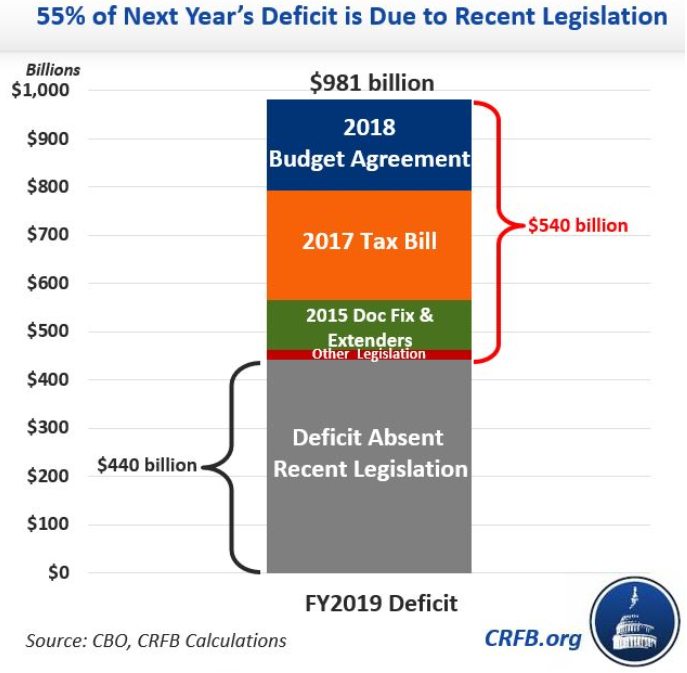 The new tax law, in spite of its good individual features, increases our debt by $1 trillion over the next ten years, even after new growth is taken into account. The new budget agreement increases spending by hundreds of billions of dollars. Fischer voted for both of these measures. The Hoover Institution analyst, John Cogan, summarizes our dire fiscal situation in the above chart which compares three major categories of federal spending since 1950: defense, entitlements and all other. 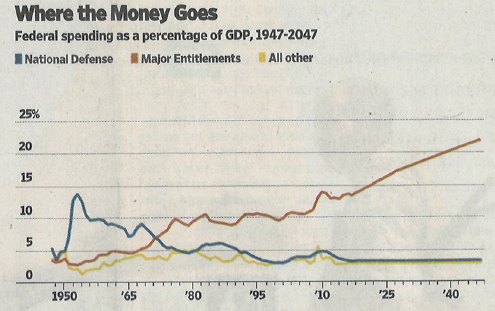 Entitlement spending is steadily increasing. The other two categories have stabilized at about 3.5% of GDP each. Between 2008 and 2030, 74 million baby boomers, will retire into Social Security and Medicare, at the rate of 10,000 per day. 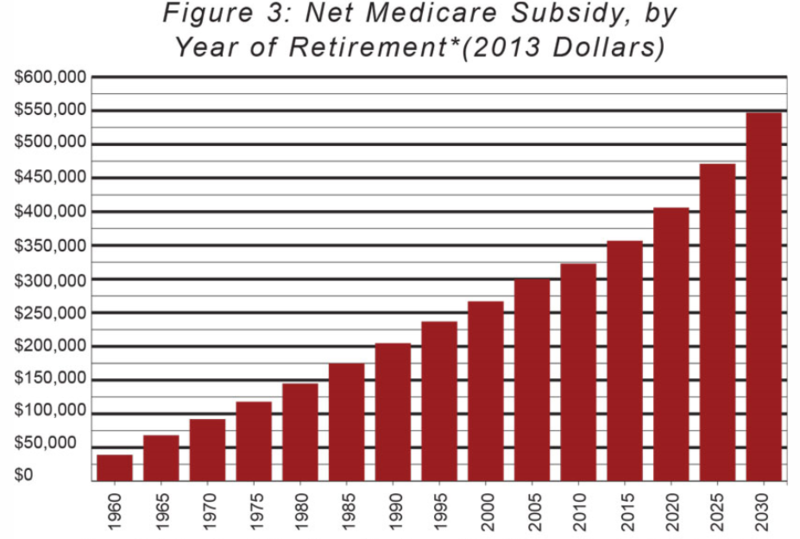 Today’s typical couple has paid $140,000 into Medicare and will receive $420,000 in benefits, largely because physician and drug benefits are not prefunded with payroll taxes (only hospitalization is). Social Security recipients also come out way ahead. The demographic challenge is much worsened by rising healthcare costs. The imbalance is so large that something has to give. Doubling the top tax rates of 35% and 37% to 70% and 74% (I.e. taxing the rich) would only cover 1/5 of the long term shortfall in revenue. An increase in inflation (purposeful or not) will not dilute away our debt. Social Security and Medicare benefits are also tied to inflation. Faster inflation would also increase interest rates and therefore interest payments on our rapidly growing debt. Conclusion. A severe form of fiscal cancer is gradually creeping over the body politic. We ignore it at our grave peril. Just a few days ago I announced my candidacy in the Republican Primary for U.S. Senate against the incumbent Deb Fischer who is doing nothing to reduce our badly out-of-control national debt and, in fact, just voted to increase it by $1 trillion over the next decade. It is the high cost of government spending for Medicare, Medicaid and the tax exemption for employer-provided care which is the main driver of federal debt. A family of four paid $26,944 for healthcare expenses last year which was 44% of median family income of $59,039. 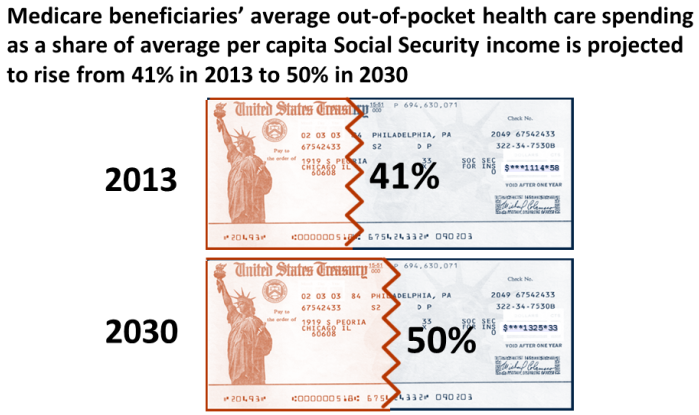 In 2013 a Medicare beneficiaries’ average out-of-pocket healthcare spending was 41% of their average per capita Social Security income. This will rise to 50% in 2030. Conclusion. American healthcare is expensive for workers, retirees and taxpayers. In other words, it is expensive all the way around, for everybody. There isn’t a lot of slack left to give way. The cost of healthcare will impoverish our whole country if we can’t get it under control. Stay tuned for proposed solution.